Here are a few of my favourite articles and blog posts from December. 1. Christmas plants and their meanings. I love that plants play such an integral part in the festivities around Christmas. The tree is probably the most obvious symbol of this period and I don’t think it would be quite the same if I walked into our living room without that glorious scent of pine hitting me in the nostrils. However, from Mistletoe to the must-have Brussels sprouts on the dinner plate, there is a variety of plants wrapped up in the package of Christmas time. Adam pulled together some of these festive plants and explains some of their meanings. 2. The 12 Days of Christmas – Greenfingers Style. Without a doubt, being part of this fabulous production by the Agents of Field has been the highlight of my Christmas this year. 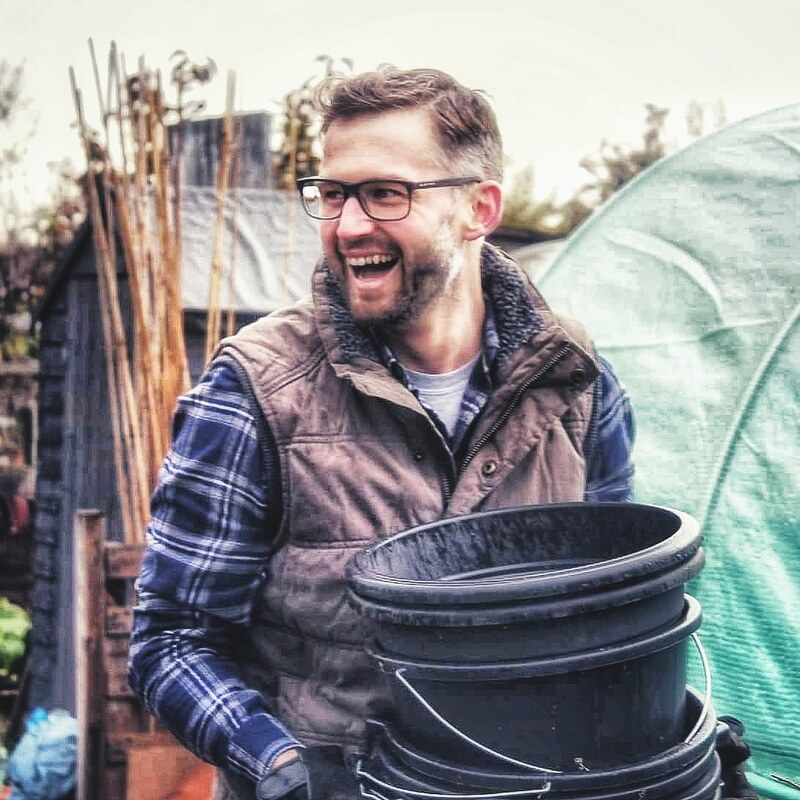 The brilliantly talented blogging duo invited me and a star-studded crowd of bloggers, podcasters and celebrity gardeners to take part in a creative festive sing-song to raise the profile and some well-deserved cash for the charity Green Fingers. If you haven’t seen this yet, then hop over to this blog post. 3. Allotment Month 25: Parsnips, cauliflower, kale, carrots, apples. I agree with Jack completely when he highlights how quickly time flies when you have the pleasure of drifting through the seasons on an allotment garden. Before you know it, you’re sitting in an armchair, sipping mulled wine and making plans for the new season to come. In this post, Jack (winner of the Garden Media Guild Blog of the year!) shares the wonderful crops his allotment has produced in 2017 and starts to consider what will be growing on the allotment in 2018. 5. Early December in the Veg Patch. There are always jobs to do, even at this time of year and as a bonus, getting yourself outside on the plot, even when the skies are grey and it’s freezing cold, feels so good! Caro did just that last month and highlights a few of the things going on in her Veg Garden in December. 6. Nettle Fertiliser. Back in July, Katie foraged for some nettles with the intention of brewing up some fertiliser for the allotment. In this post, Katie shows how easy it was to make and pops her hat and gloves on to head down to the plot to bottle the feisty brew. 7. Top 10 FAQ – How to start your No Dig Garden. If you’ve heard of no-dig gardening but have a number of questions about how to start out on this fantastic approach, then this is the post for you. Steph has written answers to the Top 10 questions her and Charles receive when it comes to no-dig gardening. I often mention how useful Charles and Steph’s books are on this topic but did you know there is also a hugely active Facebook page (managed by Steph) where people post all their questions, share photos and provide advice and guidance for those wishing to get ahead with no-dig gardening – all this can be found in the post. 8. 10 gardening things you can do when it’s freezing cold outside. Adam has popped up again in this month’s Top 10 with this post that should hopefully help you with those January Gardening Blues. I know it feels such a long month and that itch to get growing is becoming more intense – but here are a few things you can be getting on with while you wait patiently to sow those first seeds of the New Year. 9. Christmas Special – Blackberry Recipes. It gives me great pleasure to add another new blogger to the ever-expanding list in my reader. Sasha has been an active member of the grow-your-own and gardening community online for some time and now she’s started her wonderful blog. In this post, Sasha shares some of her favourite recipes for using up the beautiful bounty of blackberries in Summer – and providing more homegrown – homemade Christmas gifts for those dearest to us. 10. Winter Gardening: Storing Root Vegetables in the Ground. I’m with Tanya – I’m not a lazy gardener but if I can find a way to streamline or save time then I’m all over it. Discovering these things I hope will enable more people to find the time to enjoy growing their own. Here’s another tip to add to the collection – you can leave some of the veggies in the ground and they’ll do just fine. Happy New Year! Looking forward to the gardening and seeing more from your plot. You are indeed. You’ve been in my Top 10 a few times in 2017 too. Enjoy reading about the progress on your new plot.